Many medical malpractice lawsuits stem from a physician’s failure to diagnosis, or delay in diagnosing a serious illness. In other cases, doctors go to the opposite extreme, and recommend surgeries for patients who don’t need them at all. When the misdiagnosis involves a condition as grave as a heart attack, stroke, or cancer, the consequences for the patient can be devastating. For patients who have received a misdiagnosis, the harm is often twofold. Not only does the root cause of their health complaint continue to go untreated, but the misdiagnosis is likely to lead to unnecessary treatment and potentially new symptoms unrelated to their original problem. Heart attacks – sometimes health care providers misdiagnose heart attacks as anxiety attacks, pneumonia, or heart burn. If the treating physician misses the signs of the heart attack he may fail to order the right tests, such as chest X-rays, ECGs, blood tests, CT, or scans, and stress tests. On the other hand, he may order the right tests and misinterpret them. In either case, the patient may become disabled, require surgery, or live a diminished quality of life. Stroke – a stroke happens when a blood clot interrupts the flow of blood to the brain. When the brain does not receive the oxygen that the blood carries, brain cells die. The parts of the body that are controlled by that area of the brain can become impaired. If a stroke is not detected quickly, certain types of medications will no longer be effective. A delay in diagnosis can lead to permanent brain damage or death. Failure to diagnose or treat a stroke can cause the patient to suffer speech problems, difficulties with motor skills, and other disabilities. Cancer – when there is a delay in correctly diagnosing cancer, the consequences for the patient can be life-threatening. The cancer may be in more advanced stages by the time it is finally detected, making it harder to treat. Any diagnostic error in detecting cancer can result in a worsened prognosis for the patient. On the opposite extreme, some doctors order surgeries that can be avoided, either because medical facts don’t warrant it, or because there are non-surgical treatments that would better serve the patient. In most cases, these doctors simply lack the competence or training to recognize that the surgery can be avoided. In other cases, doctors may go ahead with the surgery where gray areas exist, mainly because their incomes largely hinge on the number of surgeries they perform. The performance of unnecessary surgery puts the patient at a tremendous risk for severe complications, such as infections, paralysis, heart attacks and strokes. In fact, since 2005 more than 1,000 doctors have made payments to either settle or close malpractice claims that involved allegations of unnecessary or inappropriate procedures, according to an analysis performed by USA Today of the U.S. government’s National Practitioner Data bank public use file, which tracks the lawsuits. When does misdiagnosis reach the level of malpractice? 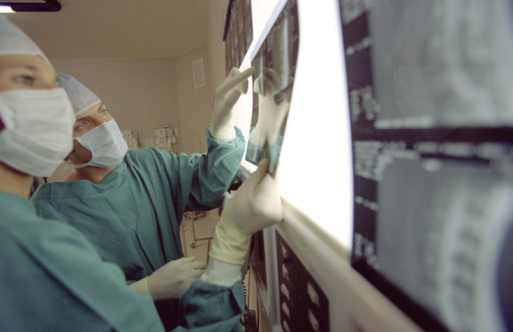 A misdiagnosis in itself is often not enough to prevail in a medical malpractice lawsuit. Competent, careful doctors make misdiagnoses while still using reasonable care. The patient must prove that the doctor’s delayed diagnosis, misdiagnosis, or unnecessary surgery harmed the patient. The patient must be in a worse condition now because of the doctor’s errors. For example, because of a misdiagnosis, a patient’s tumor is now inoperable. Sometimes a patient can show harm even if he can still be treated. For instance, with some cancers a delay in treatment increases the chance of recurrence. In that case, a patient may still be able to win a judgment against the doctor. How do doctors reach a diagnosis? When a patient sees a physician, the doctor makes a list of possible diagnoses based on the patient’s symptoms. He or she learns more about the patient’s symptoms through talking to the patient, learning about the patient’s medical history, observing the patient, ordering a series of tests, and referring the patient to a specialist. Eventually the doctor is able to rule out some of the earlier possible diagnoses, and in the end, ideally only one diagnosis remains. This is known as the differential diagnosis method. In a malpractice case based on diagnostic error, the patient must prove that a different doctor in the same or similar specialty, under similar circumstances, would not have misdiagnosed the patient. It does not always have to be the doctor who made the mistake. Parties that can be sued in a misdiagnosis lawsuit include nurses, hospital assistants, clerks, surgeons, and X-ray technicians, among others. A patient also may receive compensation from the hospital or medical center through a legal concept known as respondent superior, in which an employer is liable for the acts of its employees. If you suspect that you have been harmed by a misdiagnosis, a delay in diagnosis, or a needless surgery, the medical malpractice attorneys at Eisbrouch Marsh can help. Our lawyers can review the circumstances of your treatment to determine if you are entitled to pursue legal damages. We have a registered nurse on staff who can assist in reviewing the details of your case. We have secured substantial settlements and jury awards for victims of misdiagnosis and incidents of doctor negligence. Our attorneys are available for a free consultation, and will not charge any fees unless you win your case. Patients should be aware, however, that statutes of limitation govern malpractice suits. This means that time is of the essence, as there are deadlines in each state that may bar your right to obtain compensation through the courts.